The Mustache Rangers have a new podcast! Sort of. This week NoisePicnic, a podcasting network for creative and talented podcasters created by Aric McKeown and Mike Fotis, launched. 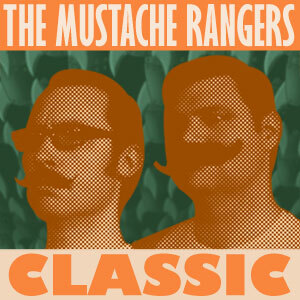 And one of the featured podcasts is Mustache Rangers Classic! Mustache Rangers Classic is a new take on the oldest Mustache Rangers episodes. Starting from episode number one, the audio is being cleaned for a more pleasant listening experience. The podcasts will also be re-edited, or edited for the first time, to make them snappier and more fun to listen to. New Mustache Rangers episodes will continue to be published here, but for a trip into the pleasant past you should check out NoisePicnic and Mustache Rangers Classic!